Set amidst rice fields and volcanic black sand beaches on the wilder, less-visited shores of South Bali, Alila Villas Soori is the ideal place to recharge. It is the perfect example of contemporary Asian design being in harmony with its natural environment, having exquisite indoor and outdoor spaces. Each stunning villa, ranging in size from 1 to 10 bedrooms, has their own pool and courtyard overlooking the Indian Ocean. 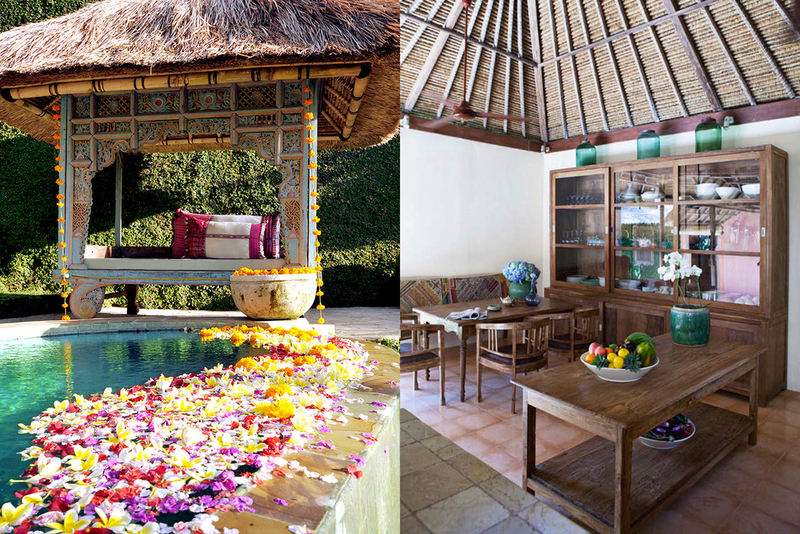 This 3 bedroom bohemian villa is the epitome of charm and relaxation. 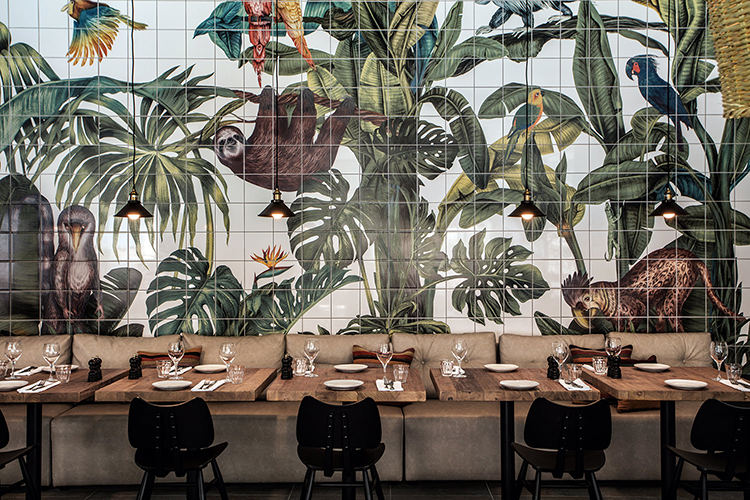 Blending Balinese and Mediterranean elements, The open spaces not only brings people together, but also invites the naturally rich flora and fauna in. 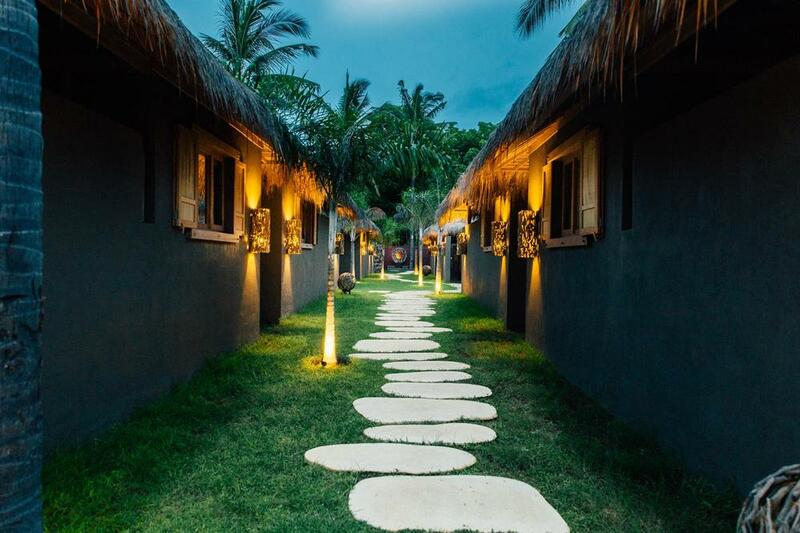 Located in a small village just 10 minutes from Seminyak and Canggu, it is the ideal place to be... far enough to experience the serenity, yet close enough to all the action if you decide to venture out. 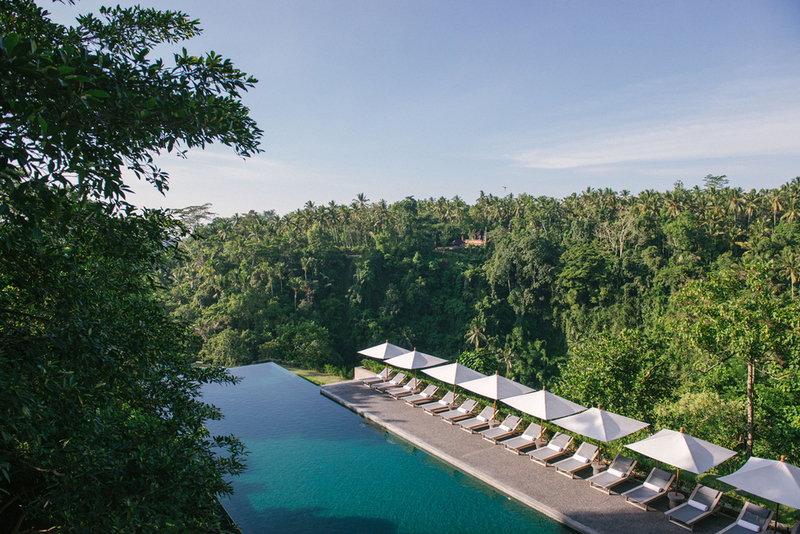 Perched above the lush Ayung River Valley is the hilltop boutique resort of Alila Ubud. It is the perfect mix of contemporary design and Balinese architecture, with secluded courtyards, spacious terraces and private gardens. 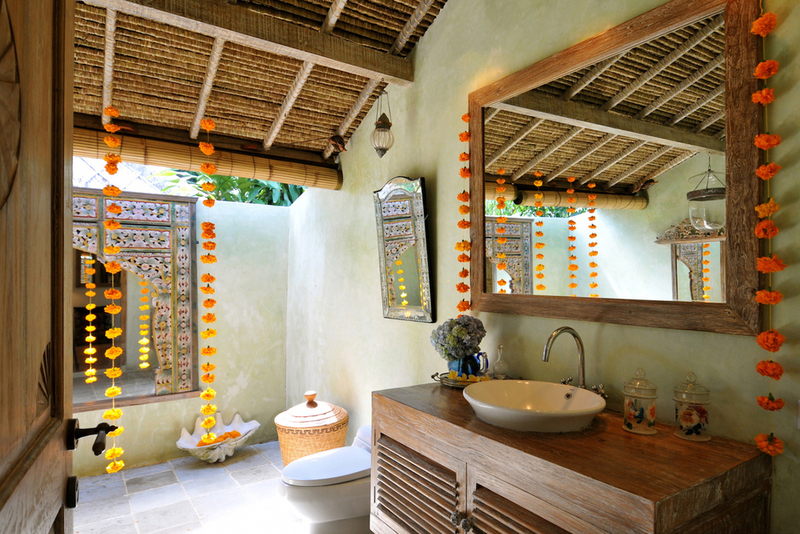 Alila Ubud offering 68 rooms with panoramic views as well as 3 types of villas to choose from. 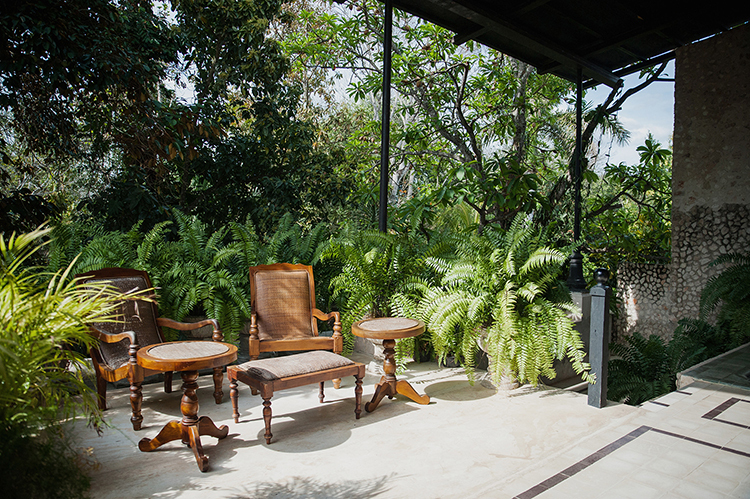 The newly renovated Terrace Tree Villas are absolutely spectacular! Based on the concept of slow spirit, Slow Private Pool Villas is a boutique island resort consisting of 10 contemporary luxury one and two-bedroom private pool villas located in the middle of a tiny island off Lombok. All villas enjoy the comforts of a terrace, private swimming pool, kitchenette, office space, comfortable sunbeds and a coconut garden. 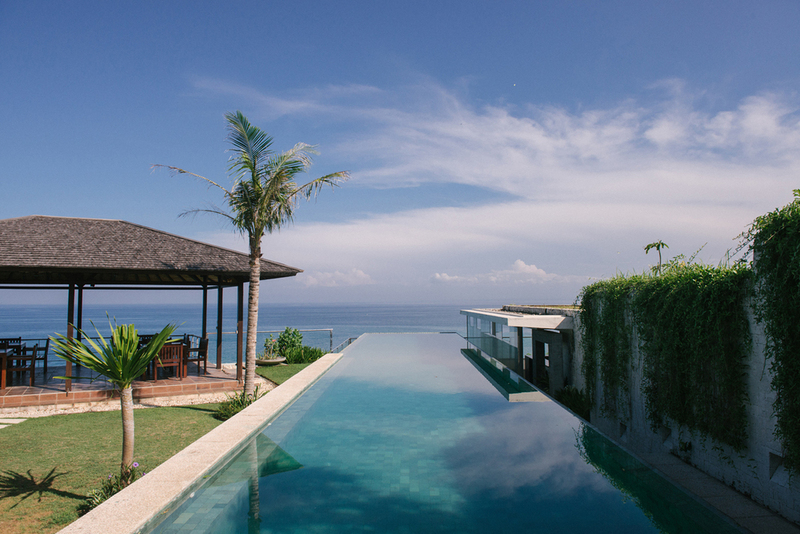 Located just steps from well-known surf breaks at Canggu and Pererenan Beach, Pantai Villas are 2 luxury Villas, each with 2.5 bedrooms and a large pool. Having spent years searching for a great location, the perfect design, and the right materials and furnishings, the owners have created villas that are luxurious, comfortable and livable at the same time. Alila Seminyak is Alila's newest luxury hotel, located just steps away from the Indian Ocean in one of the most upscale areas of the island. 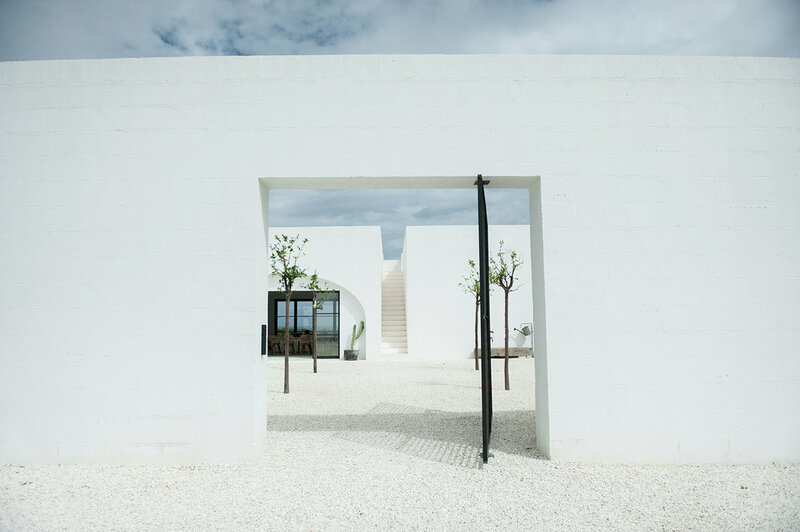 With its contemporary minimalist design characterized by natural, locally sourced materials, clean lines, rich textures, and extensive labyrinth of vertical greens, this modern beach resort radiates sophistication and is truly an oasis on the waterfront. Perched high on the cliffs overlooking the tropical waters of the Indian Ocean, this unique complex of 4 beautiful villas is a luxurious retreat away from the hustle and bustle. Each villa consists of 2 air-conditioned bedrooms with spacious en-suite bathrooms, a large outdoor living area and kitchenette, an enclosed entertainment room and a private pool and jacuzzi overlooking the ocean. 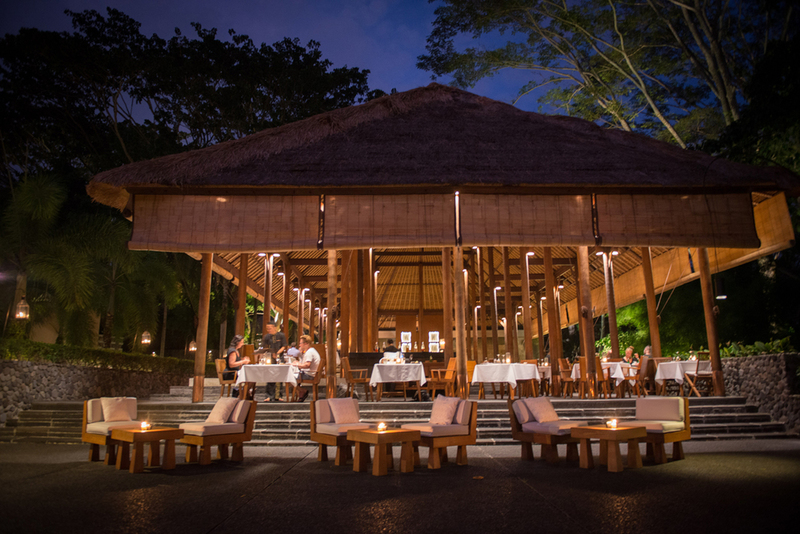 Surrounded by rice paddies, coconut groves and beautiful gardens, this luxurious resort creates a world of tranquility with their elegant villas and spacious suites, designed in their contemporary interpretation of traditional Balinese style and architecture. 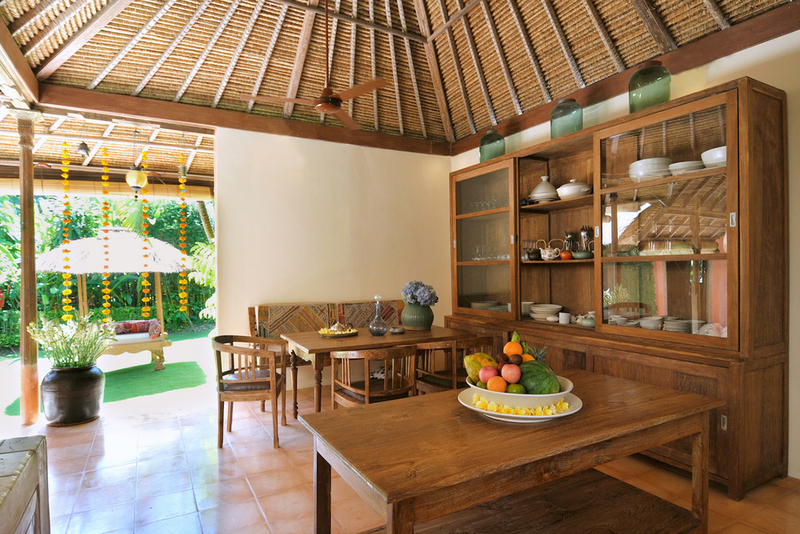 Located in a coconut plantation just off the beach, Kelapa Villas is the perfect location for relaxation and quiet. 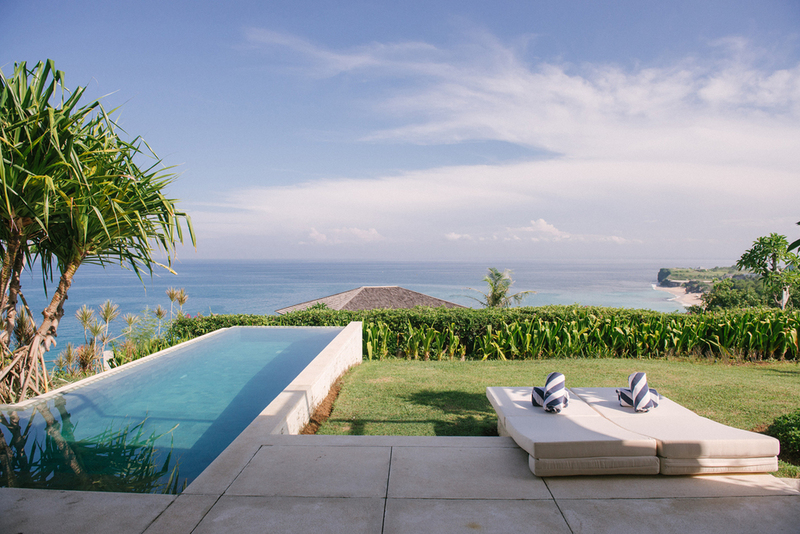 The exquisite villas are a perfect mix of modern and simple design with an Indonesian touch, with each villa having its own pristine pool and lush garden area. Perched on the side of the beautiful valley overlooking the Oos River, Tanggayuda's large property of private villas set amongst beautiful gardens and pathways is a haven of tranquility. 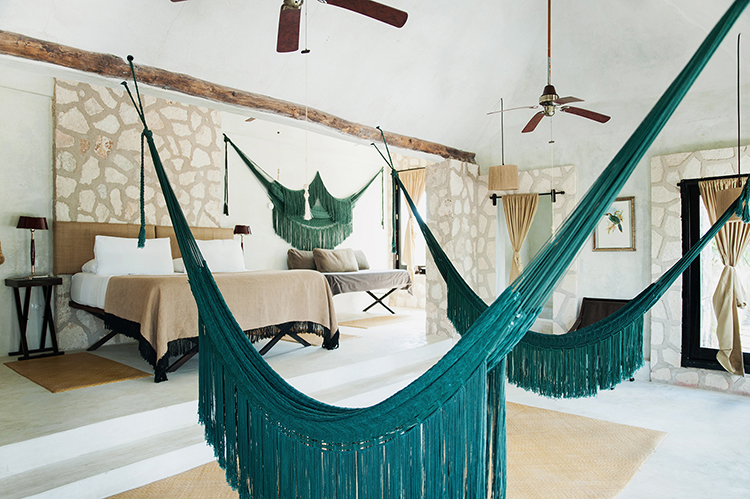 Located in the heart of the dense Yucatan jungle on the shore of a tranquil lagoon sits a 4 room retreat resembling the ancient design of the nearby Mayan temples. With 2 turquoise plunge pools, a boutique and perfumerie, a delectable restaurant and exquisite spa, this stylish jungle hideaway is equipped with all the understated luxuries that you require for your perfect getaway. Built in the 16th century, the one-room retreat sits atop the flagship perfumery in the beautiful colonial town of Valladolid. The room is spacious, yet intimate, with simple decor and impressive furnishings, flanked by two terraces, one with a lounge area and private plunge pool. As with all the Coqui Coqui Residences, it is possible for one to describe, but it will never truly capture the essence. That must be experienced. Perched majestically on a hilltop with spectacular views of the snow-capped Atlas Mountains, traditional Berber villages and the lush river valley below, guests can enjoy the vistas from a series of courtyards, terraces, gardens and swimming pools, or one of the 26 beautifully decorated rooms with its own terrace. It embodies the feeling of serenity and calm, yet it is only 45 minutes from the bustling center of Marrakech. Located in the Palmeraie area of Marrakech, Dar Zemora is a lovely country villa surrounded by lush gardens and refreshing pools. 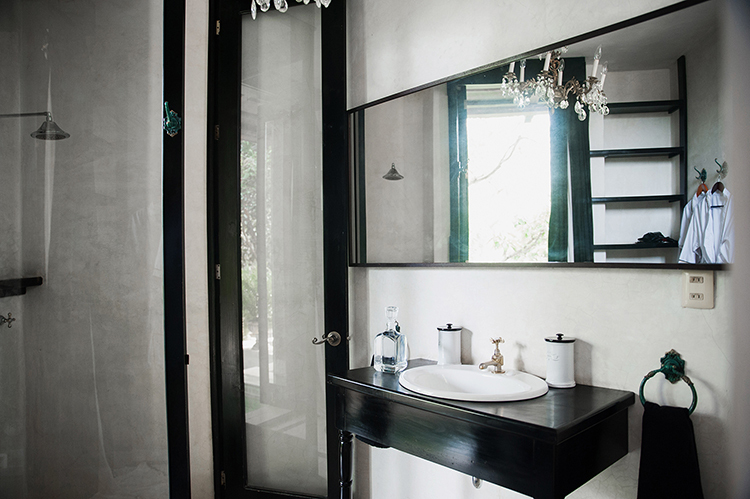 The beautifully furnished boutique hotel has 2 suites, 3 bedrooms and a private Pavillion Suite. With large comfortable sitting rooms, a fan room with swaying drapes and floor cushions, garden terraces and enticing pools, the hardest part of your stay will be deciding where to relax the day away. 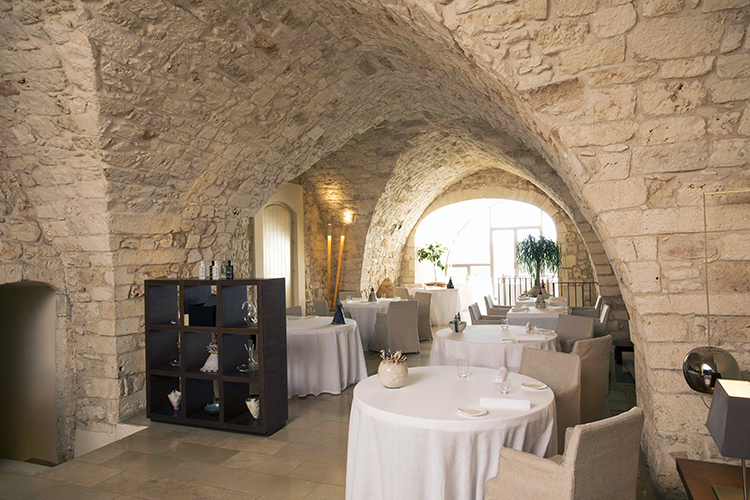 Perched high above the historic center of Ostuni in a building that was once a 16th Century Palace, the 15 rooms are a fusion of contemporary and Gothic-Romanesque architecture featuring magnificent views. The former palace is an oasis in the white-walled city, with tranquil outdoor spaces, an exquisite spa and Michelin star restaurant. 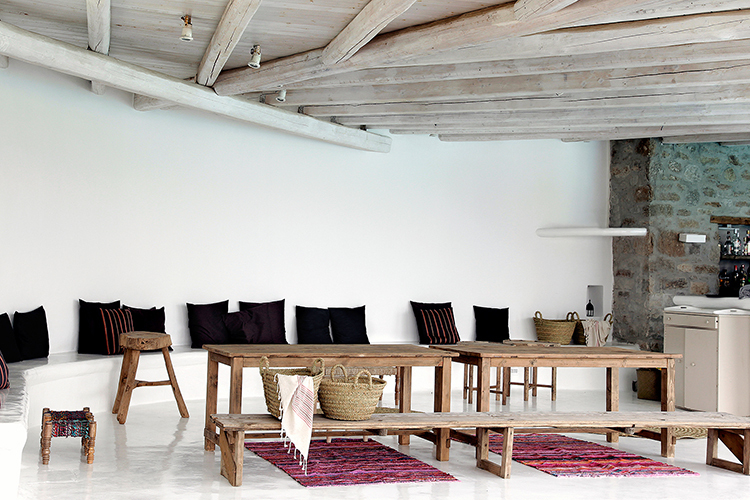 Nestled in the quaint town of Praiano, Casa Angelina offers a tribute to modern minimalism. Settle into quiet luxury with white-on-white decor paired with eclectic pieces of colorful, contemporary art and stunning views of the Tyrrhenian Sea. Soaking in their peaceful, meditative atmosphere, you'll never want to leave this heavenly coastal abode! 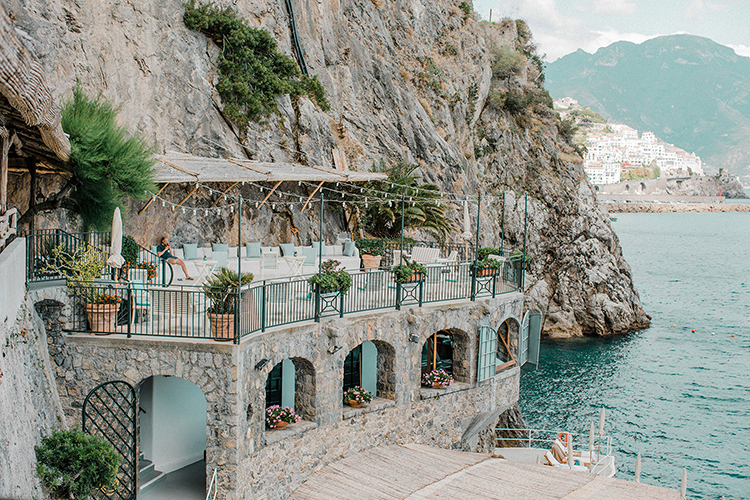 Located on the rocky cliffs of the majestic Amalfi Coast, this 19th Century villa features a private beach club, waterfront restaurant, salt water pool, and gorgeous rooms decorated in traditional Mediterranean style - all with incredible views extending over the azure waters of the Tyrrhenian Sea. 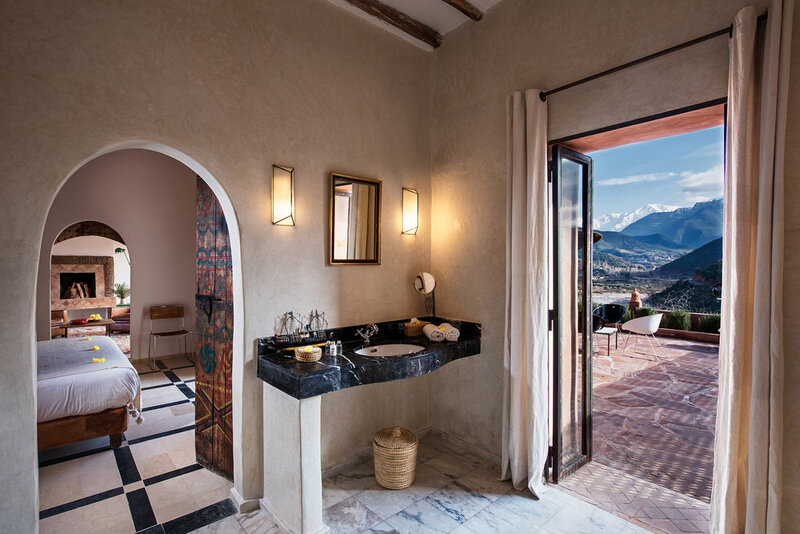 Located at the base of a craggy mountainside, this tranquil, adult only, bohemian retreat is the epitome of style with predominantly white buildings accented with exposed stone walls, timber decks, azure pools and silvery olive trees. The 90 one- and two-storey villas are all swim-up style, with private terraces leading into a minimally decorated suites with just the right touches of cool. 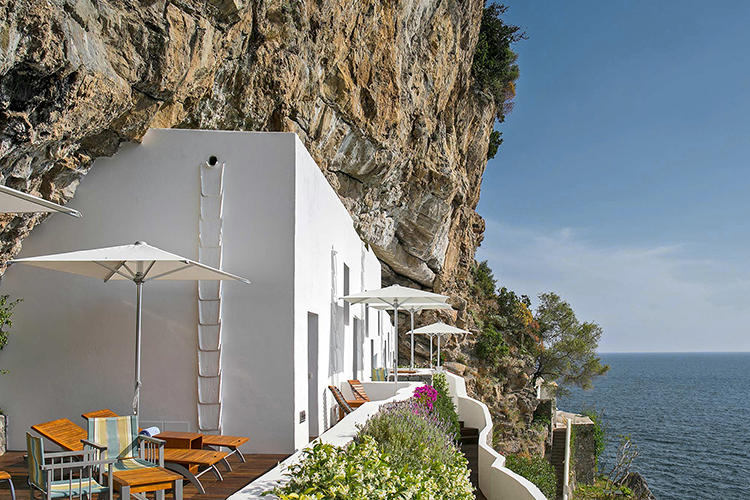 The ultimate in boho luxury, San Giorgio is located on the dramatic rocky shore of the Aegean Sea. Minimally decorated, every corner of this white-washed haven has been curated with carefully chosen organic accessories to enhance the therapeutic feel. 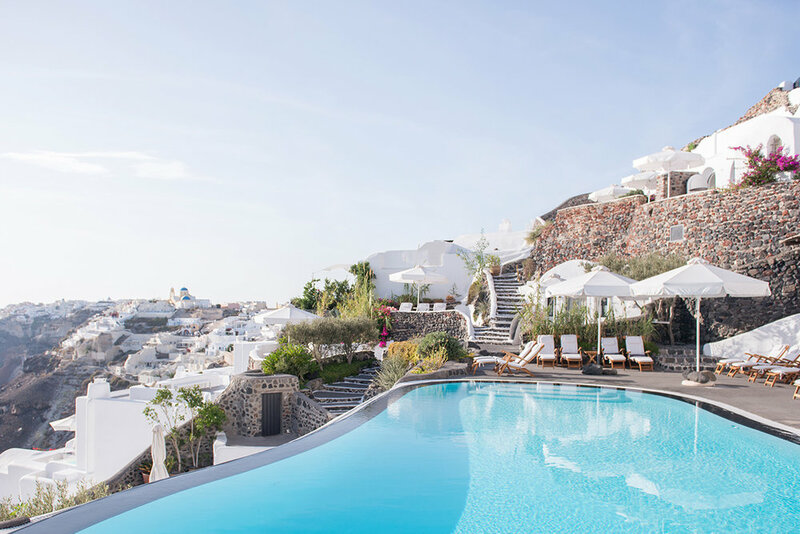 Whether you seek relaxation and solitude or want to enjoy the world famous clubs, San Giorgio Hotel truly is a Greek paradise that has it all. 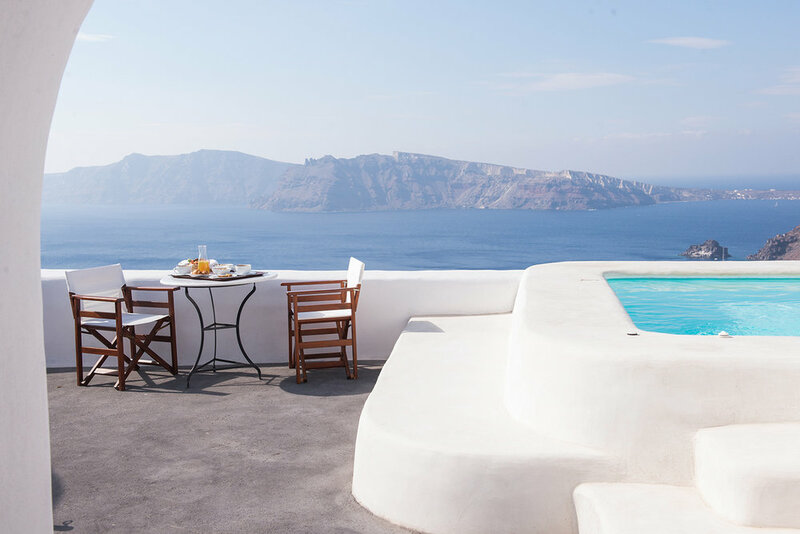 Poised on the cliff high above the Aegean, this intimate escape is designed as a place where you can let the rest of the world slip away. The 20 beautiful cave houses and terraced gardens spill down the slope to the infinity pool, which seems to slip off the rim of the cliff and bleed into the blue horizon. 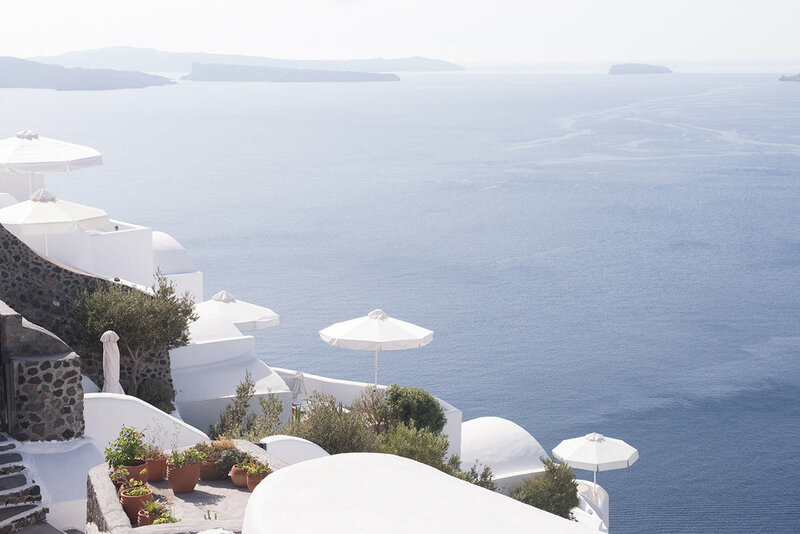 Just a short walk from Oia, it is the perfect place to relax and take in the beauty of Santorini. This stunning 3 bedroom home is nestled in a quiet valley just outside of Bonnieux, France. Dominated by concrete, stone, and clean lines, the home is modern and minimalist, yet far from ostentatious. The expansive design allows the surrounding environment in, thus creating a feeling of calm and relaxation among the chirping birds and wafts of lavender carried in the light breeze. 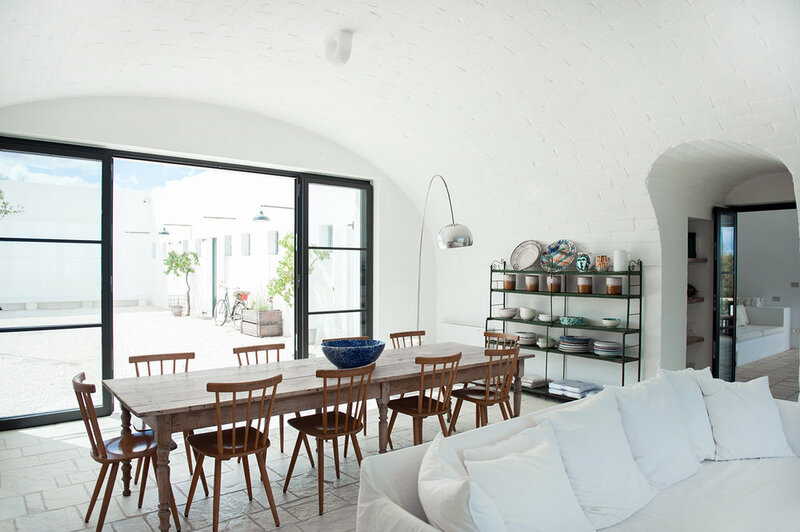 Nestled in a 5 hectare olive grove minutes from both Ostuni and the idyllic Puglian coastline, Masseria Moroseta is a stunning white stone farmhouse with a unique design element that is modern and pared down. There are 6 bedrooms and a communal salon and veranda that overlook the large pool with incredible views extending to the Adriatic Sea. This is the ultimate in affordable luxury. 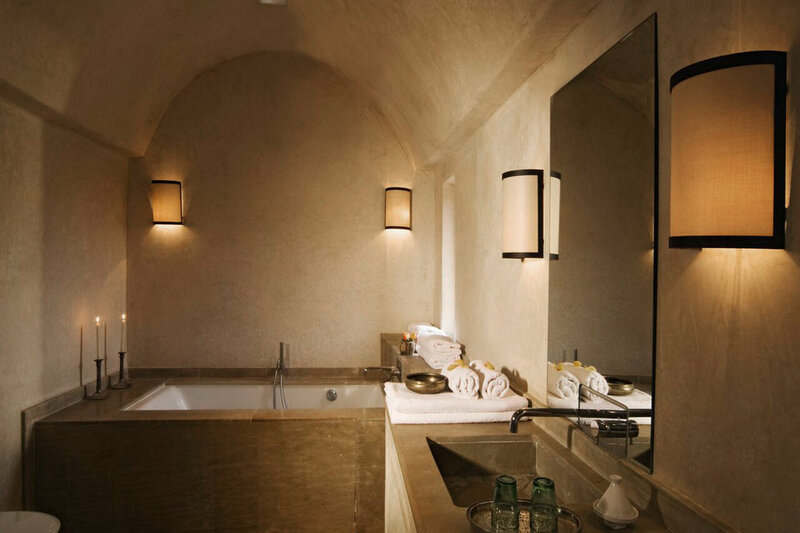 Located just outside Cortona, these stunning private villas have been recently renovated in a modern and minimalist style inside, while preserving their historic visage outside. 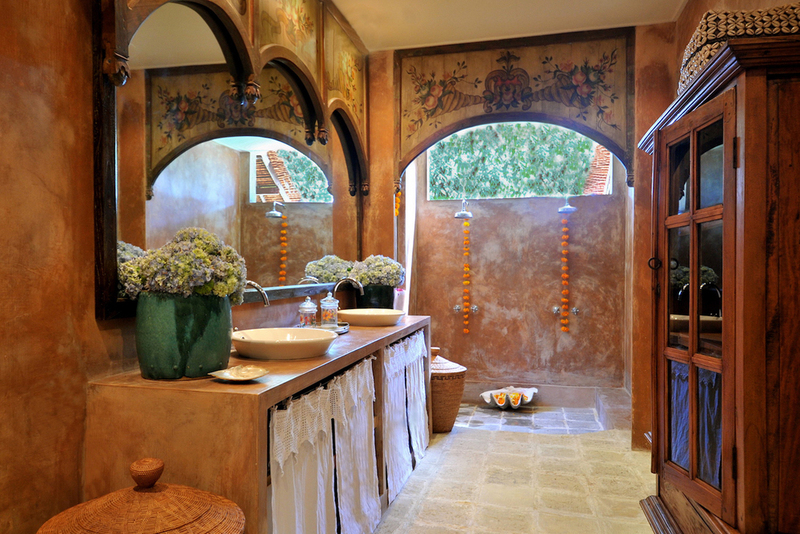 Enjoy panoramic views of the Tuscan countryside from the private pool and beautiful gardens. It is the perfect mix of contemporary and comfort, making Villa Chic the ideal getaway for an unconventional and memorable stay in Italy. This beautiful boutique hotel is just steps from the Aegean Sea in the small fishing town of Pollonia. 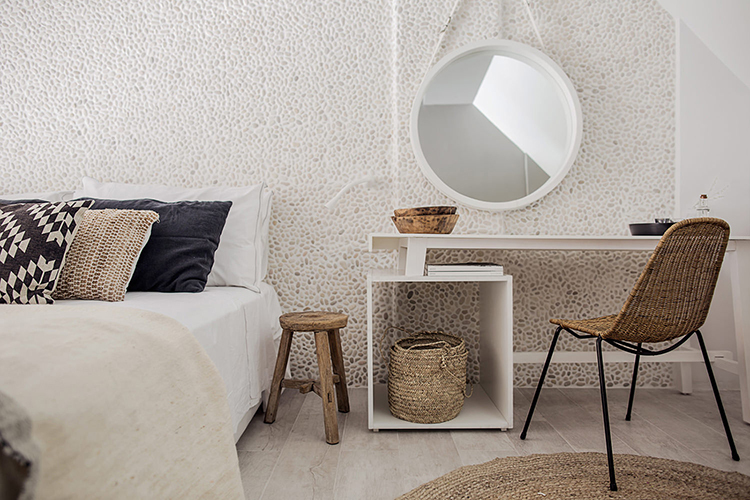 Designed in traditional Cycladic architecture having bright, minimalistic spaces, the newly renovated hotel has all the modern amenities one could need. Each room has its own veranda or balcony to take in the incredible views. Kapetan Tasos Suites is located just a short walk from the center of the small town of Pollonia. Designed in the local architectural style, this beautiful boutique hotel is understated, elegant and equipped with all the modern furnishings. The simple design lends to spaces that are airy and bright, with lots of windows and patios to admire the stunning views. 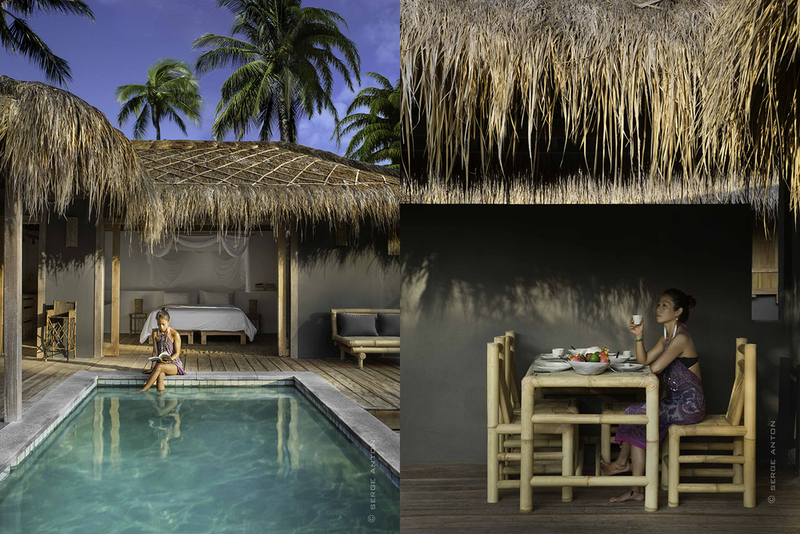 Thalassa Beach House is the quintessential Hideaway. Once used as a boat shed, it is now a beautiful house just steps from the beach, renovated in the highest quality. The bi-folding shutter doors open up to uninterrupted views of a beautiful bay, perfect for swimming on hot summer days. 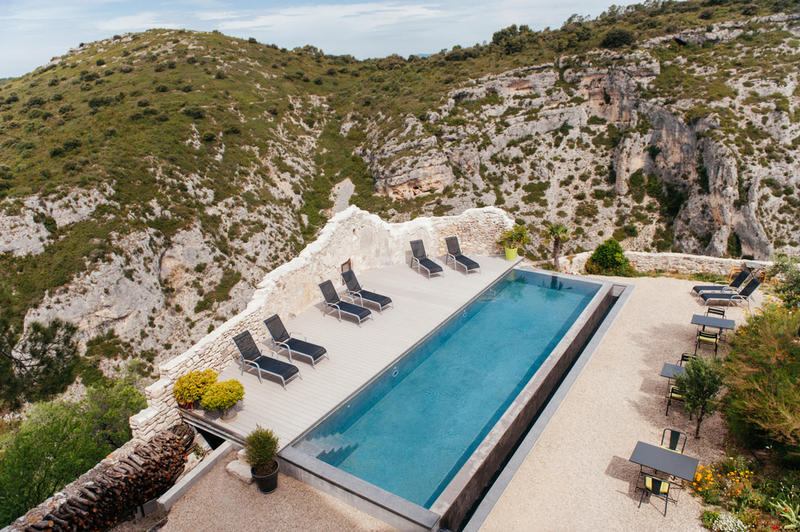 Just outside the medieval village of Mougins and just minutes away from Cannes, this boutique guesthouse is the perfect base for exploring the Cote D'Azur or just relaxing by the pool. A perfect combination of beautiful antique furniture and contemporary luxury. Originally built for Napolean's sister, La Pauline is an elegant 18th Century Estate situated just outside of Aix en Provence. 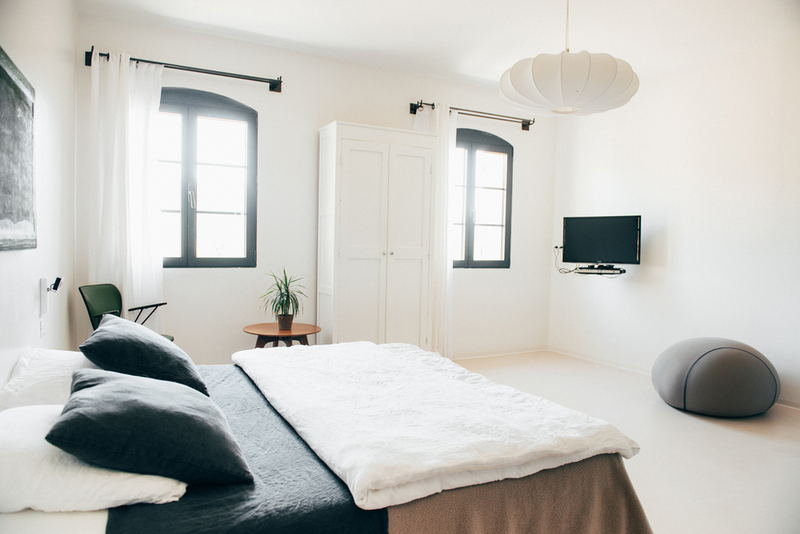 There are 5 rooms decorated in classic provencale style, each having a private patio. With a stone pool, gardens, statues, a hedge maze, olive groves, fountains and ponds, there is plenty of charm to go around. 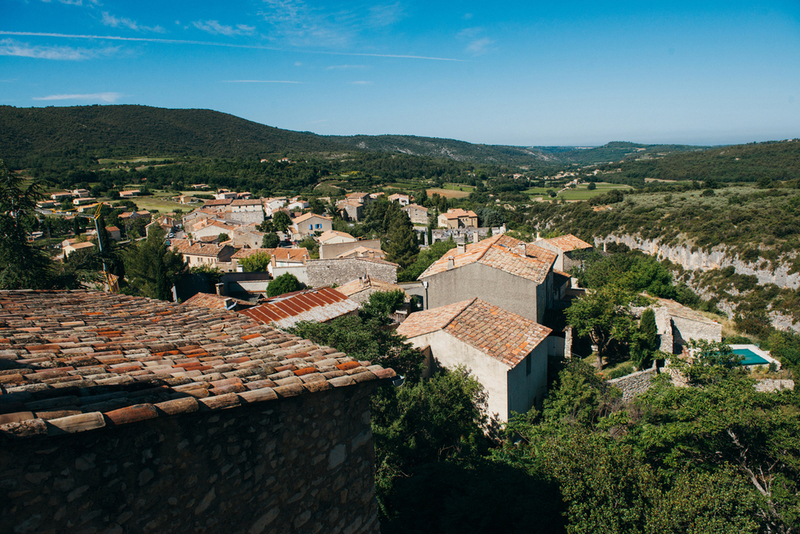 Metafort is a boutique Bed and Breakfast located in the small town of Methamis in the Luberon region of Provence. Originally a 17th Century House, Isa and Philippe have created a stunning 5 bedroom + 1 apartment property of contemporary, yet thoughtful design.